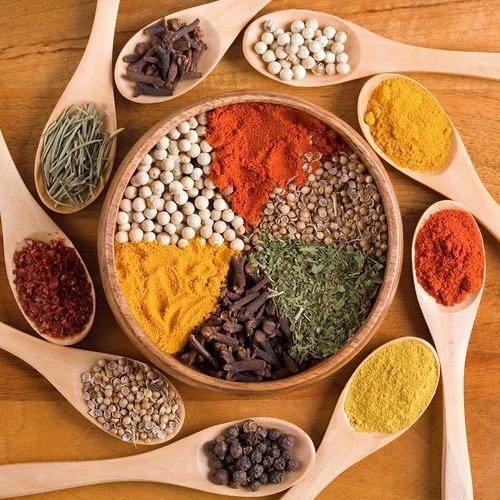 The demand for Indian spices used all over the world has not only increased the demand for vegetarian and non-vegetarian recipes to be filled with tasteful and medicinal qualities, but their use in the cosmetics industry has increased in record quantities this year. Export of spices has increased by 12 percent in the financial year 2016-17 and exports of spices of 9, 47,790 tons worth Rs. 17,664.61 Crore have been exported. Indian spices scored its recognition in the world for centuries. Yet this time the Indian spices is being in demand due to varying Food Habits and Middle East countries, of people in American and European countries. Indian spices have the chance to steal the thunder in the world market. India, in year 2012- 2013 had produced around 6 million tons of spices. Out of this, around 8 to 10 percent was exported to other countries. India is known to trade around 50 percent of spices by volume, all over the world. As per the latest news and research, there is a high demand of spices around the globe and the country is predicted to export powdered and other spices like oils, seasoning, oleoresins, and extracts. Countries, that earlier were called to be the top spices have shifted to the blended and ground spices. The increasing demand of organic food can be seen in modern countries like USA, Japan, Europe and Australia. These nations account for 1 to 2 percent of worldwide spice market. The need of oleo resins and seasonings has led the Indian Organic spices manufacturers to focus on technology and research, manufacturing innovative and demanded products. Basically, the Indian brands have successfully set up new infrastructure to meet the current demand for Indian spices from all over the world. As per the estimates, the count has risen by 20 percent in last few years. Researchers estimate that this value will further rise in next few years. It is a fact that industry of spice in India is divided. The production of spices is huge and the farming and small farms continue to play an important role in near future. These farms are usually owned by private Indian Spices Traders and now by companies. The growing ambition and passion of local Indian companies to introduce fresh products has led to new revolutions in the market. In order to meet this demand, various brands are looking towards other countries like Vietnam and China to secure supplies. Sensing the increased profits from export market, the MNCs are also trying to partner with Indian companies with a purpose of meeting the global demands of Indian spices. India imports round about 0.1 Million tonnes of spices which is being re-exported. Several Indian states like Gujarat, Rajasthan, Andhra Pradesh, Orissa and Madhya Pradesh are the leading states that produce Spices India. This entry was posted in Organic Spices, Spices exporters, Spices in India and tagged Indian spices, Indian Spices Traders, Organic Spices.